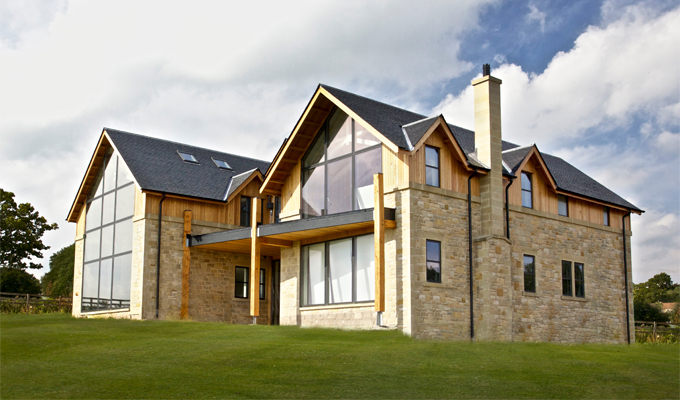 This new build contract was for a private client and was built with random rubble sandstone sourced from Hutton Stone. 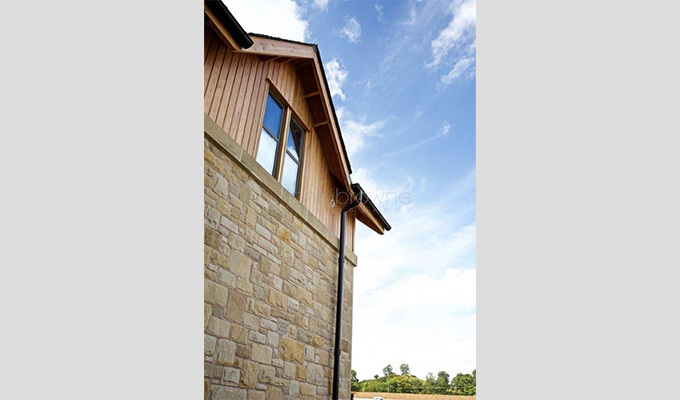 It was built with mixed buff sandstone and Tradiblanc lime mortar. 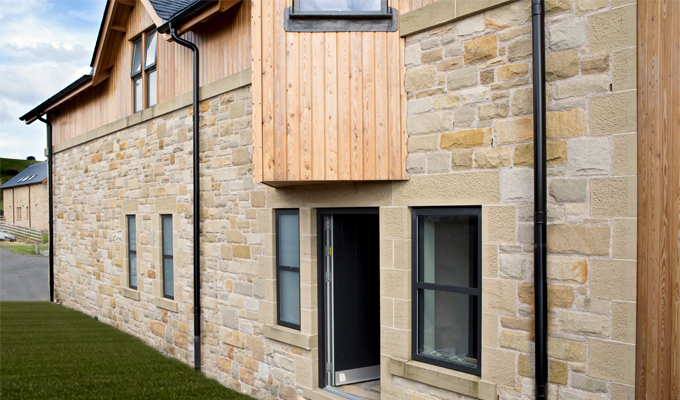 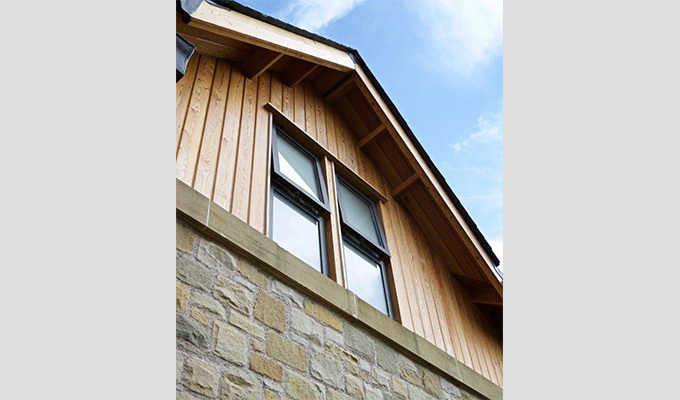 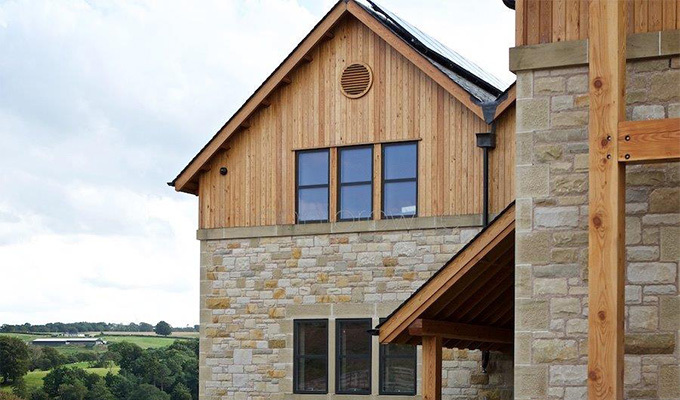 Swinton Sandstone was used for the window surrounds and doorways which were dressed and tooled onsite by our team.